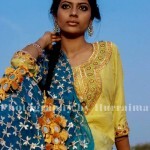 KUAAR has launched Latest KUAAR Village Women Pakistani Traditional Saraiki Cultural Dresses Collection. 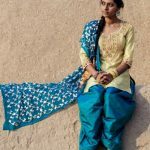 KUAAR a project of vintage fashion photography encouraging Saraiki culture by Ali Ameer & Hurraima Durrani. Kuaar is a Saraiki word meaning Dulhan or Bride, Kuaar designs based in Multan. 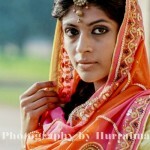 ” KUAAR ” a project of fashion photography .Its all about vintage fashion of saraiki region. Vintage Photography to document the vanishing old cultural and traditions of south region, 80 years old dresses and vintage series of suffi Raq, KUAAR vintage fashion photography styling and make over was done byHurraima Durrani & Ayesha Durrani , Moreovear all costumes were antique and belongs to our family and compiled by HURRAIMA DURRANI. KUAAR traditional SUCHI KINARI outfits are outmoded rich culture of rural life.